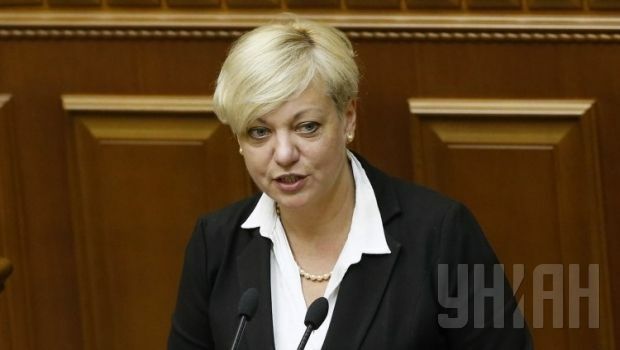 The National Bank of Ukraine predicts a drop in Ukraine’s GDP of 7.5% this year, National Bank of Ukraine Governor Valeriya Gontareva said on Tuesday at her year-end press conference. "The fall in GDP of Ukraine in 2014 will amount to 7.5%, amid the halving of the value of the national currency," Gontareva said. Gontareva also said the NBU provided state oil and gas company Naftogaz Ukrainy with $8.6 billion from reserves in 2014, and she predicted a rise in inflation due to higher bills for gas. "Inflation may be at 17-18% next year, as tariffs will be driven up to a market level," she said.